Welcome to the dog days of summer! 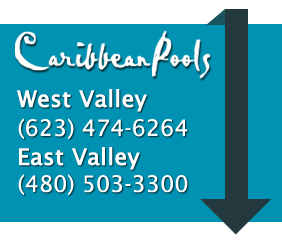 Even though school is starting back up throughout most of the Valley and everyone is returning from vacations, swim season is pressing on. Our summer is seemingly never-ending – even October will see average temperatures in the 86-92º range. With all that sunshine left, there’s no reason to close down your pool just yet. Make a splash, keep yourself protected from the sun, and keep your pool looking its best with a few simple steps. Sunscreen is great for you, but does nothing good for the water! Wait at least 15-20 minutes after applying sunscreen to jump in. Let the sunscreen really soak into your skin so it can provide the UV barrier you need. (Physical sunscreens like titanium oxide work differently than the chemical types, so are effective immediately.) Use the time while you wait to grab a cold water bottle, pool floats, towels, and a last pit stop before jumping in. If you’re avoiding sunscreen – and direct sunlight – by swimming early in the morning or late in the day, be sure to take a quick rinse in the shower before getting in the pool to wash away oils and dirt. Ideally you’d rinse off every time you swim, but then you’d be rinsing off vital sun protection. Be sure your filter is working properly and regularly maintained. The filter is your key to clean water. Ask your builder, trusted pool store, or cleaning service about enzyme treatments. Enzymes attack organic matter and quickly break down fats, detergents, oils, pollen, and other organic debris. Many of them contain surfactants that attract the oils and dirt, making it easier for your filter to do its job. As an added bonus, enzymes may also prevent algae overgrowth in the spring as temperatures start to rise again. Summer isn’t truly over until your last cannonball of the season. As you squeeze every splashable moment out of the heat, remember to protect yourself with sunscreen . . . and protect your pool with a pool care plan.